Satya Nadella, Microsoft’s third CEO, opens up about his effort to refresh the culture of the company and renew its focus on the future. He reflects on important life lessons he learned growing up in India, immigrating to the U.S., and working for Microsoft for 25 years. Nadella thinks of the past, he says, for the sake of the future—of technology, public policy, and work. His new autobiography is Hit Refresh. 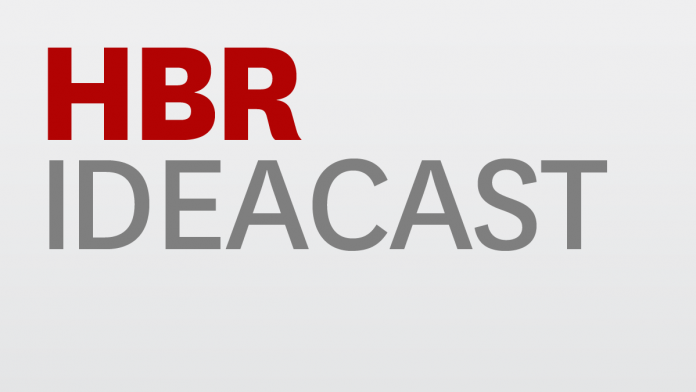 Welcome to the HBR IdeaCast, from Harvard Business Review. I’m Sarah Green Carmichael. Satya Nadella started working at Microsoft in 1992, when the world was running on Windows, writing in Word—and soon, Internet Explorer-ing. He was leading R&D efforts by the time company founder Bill Gates handed off the CEO title to Steve Ballmer in 2000, right before the tech bubble burst. Nadella stayed on as the company began to lose some of its shine. Apple debuted the iPhone; Google reigned over search; and Microsoft rolled out products like Vista and Bing. The technology industry was growing, and Microsoft’s share of the profits was shrinking. It was time to hit refresh. Nadella became Microsoft’s third CEO in 2014. He’s an insider on a mission. Hit Refresh is, in fact, the title of his new book. It’s about his childhood in India, leadership lessons from cricket, and the first few years in the top job. SATYA NADELLA: Hi, Adi, how are you? SARAH GREEN CARMICHAEL: …to talk to Harvard Business Review Editor-in-Chief Adi Ignatius. ADI IGNATIUS: All right, Satya, I’d love to ask, you have presided already over a dramatic transformation at Microsoft. You know, CEOs can lead change by trying to drive new products or by initially focusing on cultural change. And you really focused on culture. Can you talk about why you started there? SATYA NADELLA: One of the things that I write about in the book is this lock you get, this virtuous cycle that you create between the product and the concept that made you successful in the first place, the capability you built around that product, and the culture that ensues from it. But then when you think about, How do we sustain success? Because any new concept at some point is going to run out of gas, and you need to come up with new ideas, new innovations; and in order to do that, you need new capability. That’s when culture becomes more important. 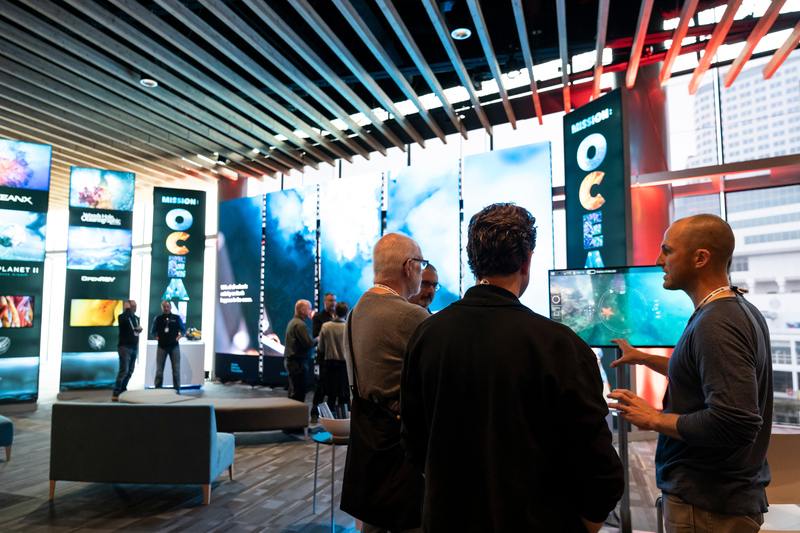 As a company that has been successful for 43 years, that it has had to hit many hit refresh moments—because technologies have come and gone; we’ve gotten some waves right; some waves we missed—what has been most important for us, and what I felt was most important for us, is to make sure that the culture allows us to have that capability to make sure we’re going after new innovations and building new capabilities to go after those new innovations. So, that’s why I think culture becomes even more important after your first success. Whereas, of course, first success doesn’t happen if you don’t have a novel idea. ADI IGNATIUS: So, you followed two larger-than-life CEOs, Bill Gates and then Steve Ballmer. You know, your book is entitled Hit Refresh. So, it’s really emphasizing that this is a moment of change. And you talk about how people had felt that they lost their way, that Microsoft was losing. How do you try to ensure that it’s a new path, and you’re guiding this path, but that this isn’t a rejection of these leaders who came immediately before you? SATYA NADELLA: Yeah, I mean, if you think about, it I’m a consummate insider. I’ve spent 25 years of my life at Microsoft. I’ve grown up, in fact, in the Microsoft that Bill and Steve created; everything that I’ve learned is by observing them and other leaders who have led Microsoft through tremendous success. But I’m also grounded in the fact that amongst all of our success, we also had misses. And so, the idea of anyone who comes in after having observed all that is to make sure that we learn from our success but we learn from our failure, as well. So, that’s the approach I’ve taken. I’m proud of our past. I’m proud of, in fact, I was a participant in all of that success. And at the same time, I’m also willing to admit where we could have done better in the past, and I want to make sure that as we look to the future we can learn from it. ADI IGNATIUS: What’s something that’s on your schedule, that’s on your calendar, that Bill Gates and Steve Ballmer never had on theirs? SATYA NADELLA: For sure, watching cricket. But beyond that, you know, in an interesting way, probably I have some blend of what I learned from Bill, which is these think weeks he did. I, unfortunately, don’t think weeks. But I do think time during days, which it’s very, very helpful. And I learned from Steve that being out there talking to customers. So, those are the two things that I would say learned from them that are on my schedule. ADI IGNATIUS: With a certain type of user, technology user, Microsoft never got the love that, let’s say, Apple’s products got. Your challenge, among many, is to get people to love Microsoft’s product as opposed to just needing them. You know, are you happy with where you are in that process? SATYA NADELLA: I feel that every day we are pushing and making progress. I think kids who use Minecraft and play with Minecraft and create their worlds love Minecraft. I think the gamers who hug an Xbox and take it out of the store love Xbox. I think people who love writing in One Note on any phone or any device love it. So, you’re right in saying that, ultimately, it’s the innovation. It’s not about people needing our software or our devices or our applications. But loving them is the goal. And we have some great examples, and we will continuously try to evolve that innovation curve so that more people get more enjoyment out of what we do. ADI IGNATIUS: I’m not sure, you know, some years ago many people would have said that about Microsoft products, that, you know, there’s that sort of love relationship that people have. How do you take products from being needed to being loved? SATYA NADELLA: One of the things that was an iconic picture, used even internally to make this transition to talk about not our users put more as fans is this picture of a person hugging their Xbox as they’re walking out of the store with a new Xbox. And you say, What makes a person do that. Why is it that they’re so deeply in love with that product, to, you know, hug it? And then, What lessons can we learn? After all, Xbox is one of the big Microsoft franchises that we have built. We then started recognizing that there are such fans. There are people who compose odes to Excel. There are people who make capes for One Note. And so, the question is, let us make sure we recognize these fans, we learn from them, we cultivate that community around them. ADI IGNATIUS: You also talk a lot about Microsoft finding, or re-finding, its soul. So, what is the soul of Microsoft now? SATYA NADELLA: This is where I go back to the very beginning of Microsoft. The first product Microsoft created was the BASIC interpreter for the Altair. It was about creating technology so that others can create more technology. That’s who we are at our core, in our soul, and especially in today’s day and age where every business, every walk of life, is more digital; and, in fact, everybody is more of a software company, it’s even more possible for us to be that tool provider, that platform creator—that’s really who we are. So, we talk about our mission as empowering every person in every organization on the planet to achieve more. And each word there has deep meaning for us because we, for example, think about our software both in the context of individuals but also institutions that individuals build, in many cases, to outlast their own tenure inside the institution. We obviously think about it worldwide. I’m a product of that. There’s no way I would have shown up in the U.S., let alone at Microsoft, if it was not for Microsoft technology. But the last piece is probably the most salient and most important, which is, it’s not about our success, or it’s not about our technology. Ultimately, even our business model is dependent on others achieving success with our products, whether it’s somebody, you know, building a world with Minecraft or writing a document with Word or building their spreadsheet in Excel or writing an app in Visual Studio. All of that, ultimately, is dependent on others doing something without technology to achieve more, and that’s who we are at our core, and that’s, I think, what I try to, sort of, write about: rediscovery. I mean, it’s when, when we are at our best we are most in touch with that. And reinventing ourselves, that identity with new technology paradigms. ADI IGNATIUS: If you had to boil down your advice for business leaders who want to effect a dramatic cultural change, what would it be? SATYA NADELLA: Having achieved your first or two or three successes, how do you go after the fourth big success? That systems challenge of understanding that what got you here is not going to take you to the next place is, I think, one of the most important things that leaders have to do and to recognize. I mean, one of the things that is fascinating to see is, take AI. It was in 1995 that Bill Gates started some of the core AI research at Microsoft and said that some of the speech recognition or synthesis is going to be super important. But we had to wait all the way till some of the Skype data was available for us to then bring speech synthesis, speech translation, and our speech recognition and machine translation all together to create the magic of what is Skype Translate today, where you can be speaking in two different languages, and simultaneously, and they would translate. So that ability to build capability long before they’re needed or they are applicable in a market-relevant way is something that I think leaders will have to think about the more successful they are. ADI IGNATIUS: What have you learned in your three years in the job? What is it that the CEO needs to do? What is it that the CEO should not get involved in? Are you, are you starting to get more clarity in terms of what your role needs to be? SATYA NADELLA: Fundamentally, at least, I’ve come to realize one thing, which, I think, you can even say I was surprised by: is how multiconstituent the job of a CEO. I can say that any leader today has to recognize that it’s not just about customers or partners or shareholders or employees or governments, but it’s about all of them, simultaneously, all the time. It’s not all neatly compartmentalized. In fact, it’s the ability to synthesize the needs across that broad constituency is one of the core things that the CEO uniquely should and can do and must do. The second thing that I’ve also, perhaps, recognized is this notion of curating culture, because if the CEO doesn’t care about the initial conditions of everybody doing their best work, then who can and who, who should? I mean, if you just said, Hey, that’s the job of the HR department, that’s taking the core responsibility you have of even setting the standard of what is expected aside. But the third piece that the CEO also still needs to get right is their ability to pass judgment in an uncertain future about the right things to do, the right things to pick. Because if you get that wrong, the entire organization could go down the wrong path. ADI IGNATIUS: It seems that more and more CEOs are becoming comfortable to a certain degree or with a certain degree of activism in the public sphere. You know, what is your rule on when and when not to join the public debate over burning issues? SATYA NADELLA: I think that one has to do as a CEO and as a company is have a set of principles that govern how you work. I mean, take some of the things around security or privacy or transparency. These are things that you should be very clear about: what are the principles that drive the product decisions, the policy recommendations? When do you even, in fact, take a stance? In our case, we took a stance, for example, in the overreach of the government on privacy, around where the data is not stored in the U.S. borders, and we felt that that was something that we needed to make sure that we brought into the public sphere and more importantly into the courts so that our legal system can set precedent. So, those are the things that I think are important for businesses leaders to take a stance on. ADI IGNATIUS: Yeah, I mean, it’s very tricky, because I’ve spoken to business leaders who don’t really want to join every sort of political issue, but, you know, even being neutral is sort of a political statement. SATYA NADELLA: I mean, two thoughts. One is, you know, I’m very, very clear that, you know, no one elected me. So, in some sense, when we talk about taking a political stance, that’s not what I think I would do at all because that’s not my job—that’s not what our employees expect of me. But what our employees do expect of me as their leader and CEO is to be clear about our values. So, even, take something around DACA and immigration: it impacts our people, and we have always advocated, in previous administrations to this current administration, about what we think is the value of immigration to American competitiveness—not just the skilled immigration part—that America being a beacon of hope for all people, especially when they need it the most. So, those, I think, enduring values that have, you know, in some sense define American exceptionalism. And that’s what our people care about. And we will definitely lend a voice to it. So, that’s how I look at it. But we clearly are not trying to make political statements. We’re not trying to act like elected leaders, because we are not. But we do want to have a principled approach. ADI IGNATIUS: You were obviously a beneficiary of America’s relatively open immigration policy in the 1960s, which led to your getting a student visa. What should America’s immigration policy be in terms of ensuring that people like you come to this country and have an opportunity to contribute? SATYA NADELLA: I mean, I think you’re right that I’m a product of two amazing American things. One is American technology reaching me where I was growing up, even making it possible for me to dream the dream; and then the enlightened American immigration policy that let me come and live that dream, because no other place or any other country and in no other time would that have been possible. And so, therefore I do believe that American competitiveness, our economy’s competitiveness, is dependent on that enlightened immigration policy, and that’s important for us to preserve and promote. But I also believe it’s not just about high-skilled immigration. We also need to show our humanity in our immigration policy. As I said earlier, I think America has always stood out as the bastion of hope for those who need it the most. I think the combination of those two is what made America exceptional. And it’s not something that we should trade away easily. ADI IGNATIUS: In the book, you write a lot about your background and your personal journey to where you are now. And one thing I thought was interesting is, you can see that you were not the world’s greatest academic. Do you have advice or ambitious people who similarly are not the best in that environment and how they can, sort of, you know, move forward without being discouraged? SATYA NADELLA: Yeah, in fact, I write about this. You know, my father, who I would say never met a test or an exam that he didn’t ace, as he would say, taught me the best lesson of how to think about yourself, which is, he said, look, there are a lot of people who we went to school with who thought that they’re done with their last exam, and they aced it. And he says, how wrong they are when they think that, because in some sense, if you, sort of say, every day you get up and take a test and you learn. So, this notion of being a lifelong learner, I realized, that if you get up every morning and say, I’m going to learn some today and not be a know-it-all but a learn-it-all, you will be able to overcome any academic deficit that you may feel you have. ADI IGNATIUS: At least a couple of times in your Microsoft journey, you were put into jobs that pulled you way out of your comfort zone. And I’d like you to talk a little bit about that phenomenon, both as a managerial approach, that somebody put you in that position, and then as a kind of learning approach, good and bad, to suddenly be somewhere that you, you know, really never thought you would be. SATYA NADELLA: You know, it was not about, this is somehow going to be the next move I need to make in some grand plan to get to the corner office; that definitely was not the case. In fact, I distinctly remember Steve saying, Hey, look you know if you go to Bing, and you don’t do a good job or succeed, it might just be your last job. But at the same time, his own intellectual honesty and how he talked about that job made it, you know, very enticing. It was tough to refuse to go there to learn. And it’s clear that if I had not gone and learned in Bing what it means to build an at-scale internet cloud service, I would have not been prepared for the next job, which was to run our cloud infrastructure. And if I had not run the cloud infrastructure business, I’m sure the board would have not seen me as a candidate even for CEO. So, sometimes life works like that. But what at least drove those choices for me was more about, Hey, what can I learn? Where can I have impact? Where can I uniquely contribute? And that is, I think, in some sense, defined who I am, and more importantly, the career I’ve had. ADI IGNATIUS: What is it that separates great business leaders from average ones, as you look around at some of the greats? SATYA NADELLA: Quite honestly, I don’t know what separates one leader from the other. But the one thing I realized is one for one trying to copy the other is probably not the way to achieve that, because pattern matching works in many cases. But pattern patching on leadership could be dangerous because the context and leadership are so intermingled that perhaps what is most important is to really bring more of your authentic self to be able to ask even those harder questions of, what drives you, what inspires you, and what gets you to create that clarity and energy and success is probably more important than trying to maybe look around and see who’s doing a better job and who’s doing a mediocre job. Because even that has a temporal piece to it. ADI IGNATIUS: So, I want to talk a little bit now about this, sort of, final part of your book where you talk about new technologies and how they are likely to shape the future. On artificial intelligence, there are some clear dividing lines among prominent CEOs. You know, Elon Musk tends to paint a very dystopian future. Mark Zuckerberg is more optimistic. Where do you fit in on the spectrum in this debate? SATYA NADELLA: I think with any new technology, we need to be clear-eyed about both the benefits of the new technology and the unintended consequences and deal with both. So, you could sort of put me right in the middle of it. So, with AI in particular, I mean, to give you a good example, one of the apps that we just released was something called Seeing AI, which enables anybody who’s got visual impairment to use this app that’s on the App Store to be able to, for example read menus, bringing someone with visual impairment real benefits in their everyday work. So, to me, let’s grab onto those opportunities of AI to empower people. That’s, I think, one of the most important things for us to do while being clear-eyed about what the consequences of displacement are, knowing that we have to do our best work around upskilling, creation of these feedback loops of the jobs of the future and the training that people need to have, whether it’s in schools or in in their jobs so that they’re more prepared. And even broader policy questions around, how can we create new employment? Because one of the things that I think we shouldn’t fall victim to is this fallacy of our lump of labor, that means all jobs that are going to be there in the future have not yet been created, so therefore we need to be able to push ourselves on all these fronts. ADI IGNATIUS: Yeah, I tend to be a little bit of a techno pessimist, and I can easily grasp scenarios where lots of jobs are lost; and then another category of jobs is created, but that there are far more jobs replaced, necessarily, by machine than there are created. So, to the extent that that’s right, how do we prepare for this future? SATYA NADELLA: First of all, that’s why I think, you know, we should study deeply yet again the Industrial Revolution. Pretty much all of what we’re going through was essentially what we went through once before. Even, hey, there are many ways you come at it. You can say, while capital is getting return, labor is not. Then there is policy fixes to that, which we came up with in that in that timeframe. Then you could say, well, all the jobs in the agriculture are going away. Then there were factory jobs. All the factory jobs are going away and automation. There are white-collar jobs outside factories. For example, I think people-on-people jobs—it can be a huge source of new employment. In fact, I like to say, as there’s more AI, real intelligence is going to be scarce. All those human qualities around empathy that are needed, you know, in a lot of situations, in people-on-people jobs should, in fact, have good wages and be created. So, I think a set of policies, this emphasis on education, market feedback loops. One of the things that excites me about LinkedIn is our ability to create that cycle of, What are these jobs that are being created? What are the skills required for those jobs? And then how do we feed it back to the training required so that we are prepared for it? In sort of this being an abstract conversation, it’s a real-time feedback loop. Let’s use those mechanisms. ADI IGNATIUS: I think you’re right about the industrial revolution, although I think it took decades, maybe, for society to adjust to the dislocations and for wages to come back and for living standards to come back. So, I mean, do you feel as a leading AI company—and, you know, this isn’t just about AI—that that you, Microsoft, and other companies are, sort of, responsible for anticipating and heading off dislocations that could exacerbate, let’s say, inequality or create unrest. Do you feel a particular responsibility? SATYA NADELLA: I mean, I think all of us should take responsibility, because if you think about it, it’s in our long-term interest as businesses that are creating technologies so that there is more surplus and there’s more economic growth all around us because. And speaking for Microsoft very specifically, that’s in the core of our business model. There’s no such thing as Microsoft is successful and everyone around us is not. I mean, that’s just not how it would work. So, yes, surely, we should do more around that. But we have to do it in conjunction with all of the other institutions all of the other public sector and private sector organizations to be able to make sure we’re prepared. And you brought up the issue of what can we learn from the Industrial Revolution. One thing that we should learn is, hey, since there has been precedent for this, what can we learn not to repeat the same mistakes? That’s why, I think, studying of some amount of history there and the policy frameworks that we can pick up from there and going to work on it in a time like this, I think, is probably the most important thing we could be doing. ADI IGNATIUS: Satya, good luck going forward, and thanks for doing this. SARAH GREEN CARMICHAEL: That’s Microsoft CEO Satya Nadella. His new book is called Hit Refresh. He was interviewed by Harvard Business Review editor-in-chief Adi Ignatius.